With over 22 years of experience, Biraja has worked with leading global organizations such as Progress Software Corporation, IBM Labs, Credit Suisse, LTA-Singapore, Singapore Ports, Alltel-USA, Satyam Computers, and Tata Steel, Jamshedpur. 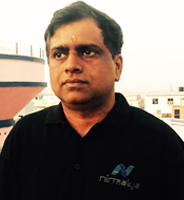 Prior to Nirmalya Labs, Biraja was Director & Head of OpenEdge Engineering in Progress Software Corporation. Biraja was at the helm of establishing the engineering team from scratch and making self-sufficient on an aggressive growth path. At IBM Labs, he led efforts to build the business and strategic relationships with ISVs and SIs. Prior to IBM Labs, he was Delivery Manager in Satyam Computers and handled major customer accounts. At Tata, he worked as Manager for various areas. Biraja is an alumnus of National Institute of Technology, Jamshedpur. 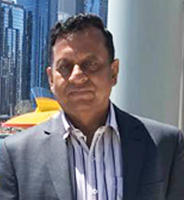 With more than 30 years of industry and consulting experience as Project and Program Manager in the domains of Manufacturing, Logistics, Credit Card, Port Operations, Insurance etc. Keshav has worked with giants like NIC, Tata Steel, Satyam, GE, IBM etc. 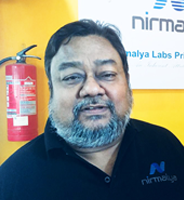 In this role, Keshav is responsible for all technology infrastructure, Resourcing, Delivery, customer engagements and operations at Nirmalya Labs. Keshav has managed complex & large IT programs with more than 350 engineers working from multiple global sites with revenue size in access of USD 25 million from a single program. Keshav has successfully lead many initiatives in various organizations and brought about tremendous business results. Keshav is an alumnus of National Institute of Technology, Rourkela. With more than 20 years of experience in sales and Business Management. Sulekh has worked with power distribution and construction domain for many years and has successfully carried out project management responsibilities. He brings solid knowledge in power and distribution sector along with customer relationship and business development area. Sulekh is an alumnus of IIM, Kolkata. We are honored having Ms. Richa Kar as Advisor for NirmalyaLabs. 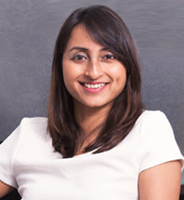 Richa is the founder of Zivame.com, India's largest online lingerie company. She built the company in the last 6 years as the CEO from ground up, raising 45 million USD through 3 rounds of funding from institutional investors. Zivame pioneered shopping lingerie online for Indian women and is the top brand in design led innovative intimate wear, selling 4 bras a minute. Zivame employs more than 300 people , having 20 offline stores and has become a top premium women’s brand in the last 6 years.Richa has more than a decade of experience in Retail Marketing, Branding, and Operations. She has worked with companies like Spencer’s Retail, Oracle and SAP in the past. She has done her Bachelors in Technology from BITS Pilani and her Masters in Management from NMIMS, Mumbai. She was chosen as the 'Top Women Entrepreneur of 2014’ as per the survey conducted by The Economic Times amongst 100+ top entrepreneurs and investors in the country.SheI also made it to Fortune India's, 40 under 40, an annual ranking of the most influential young people in business through 2014 to 2017. She is considered one of India's top women entrepreneur and has been mentoring many start-ups in the process. With over 35 years of experience in research, education and scientific fields of agriculture and microbiology. He has worked as Principal Scientist, Indian Council of Agriculture Research, visiting scientist/professor for Dept of food Science (University of Massachusetts, USA), visiting scientist for Food Microbiology & Food Quality Laboratory, France, and EMBRAPA, Brazil. Member of technical advisory group, Dept of Biotechnology, Govt of India, & visiting professor of American Society of Microbiology, USA. He has recognized with many awards like fellow of National Academy of Agriculture Science, Confederation of Horticulture Societies of India, & many more. With over 36 years of experience in Strategic planning for police organization, introducing use of technology, analyzing best practices in policing. Extensive experince in broad subjects such as pertaining to Crime, Law and order, Replies to assembly questions, Matters relating Hon HC/SC, Matters relating various Elections such as Parliamentary, Assembly, ZP, Corporation, gram Panchayat to coordinate with central/ state govt issues. Infused technology support in Passport verification by police and Right to Services Act. Mr Dash has authored more than 10 books and a well-known social activist.He is chairman of Advait Brahma Ashram, Puri and an experienced Yoga instructor committed to make a difference in the educational field by applying wide knowledge of Yogic philosophy & Psychology. He is an alumnus of Utkal University, Bhubaneswar. Santosh Kumar Mishra has more than 36 years of experience in hydrocarbon exploration and exploitation business and currently working as an Independent Consultant.He served for Oil India Limited (OIL) a Govt of India Enterprise, as General Manager and Head of Chemical Department.Mishra worked in all major exploration projects of OIL including Gabon and Libya in his service period in OIL at various capacity. He specialised in drilling, production and stimulation particularly in the field of drilling fluid, well cementing and acidisation. He has authored a number of technical papers which were presented in various National and international conferences. He was the chairperson in a conference organised by Knowledge Expansion Group, Dubai in Morocco, West Africa. Mishra holds Masters degree in Chemistry from Sambalpur University,India and a member of Society of Petroleum Engineers,USA. He has undergone technical training in USA and Canada and management training in ASCI,Hyderabad, IIM Ahmedabad and Kolkata. With 40 years of experience, and his research publications / reports / lectures/ Addresses (of about 250) have generated academic and research interests in the areas of regional development, agricultural development and informatics development. Played a significant role in taking e-Governance in India and strived hard, thought strategically for long-term solutions, fought ground realities and challenges faced the country, yet devised ways to succeed. 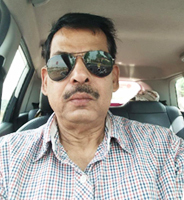 Prof. M. Moni, Program Director, is Professor Emeritus (Informatics & e-Governance) & Chairman Centre for Industry 4.0 Technology Studies and Applications (CITSA), of Shobhit University, Meerut. Prof. M. Moni is an Academician, Researcher, Author, project developer, project implementer, organization builder, optimist and above all, a man of missionary zeal. Prof. M. Moni is also Advisor (IT) in Delhi Development Authority (DDA), New Delhi & Chief Advisor (IT), Department of Agriculture, Cooperation and Farmers Welfare (Ministry of Agriculture & Farmers Welfare, Government of India; Chairman, ICFA Working Group on ICT in Food and Agriculture, New Delhi (http://www.icfa.org.in); Chairman (Designate), Working Group on BRICS BioMed Informatics Network, New Delhi. Prof. Moni Madaswamy , Former Director General at National Informatics Center, Government of India . 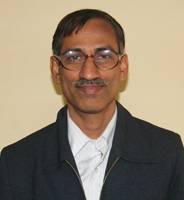 Dr. P K Mishra has over 30 years of experience in the IT industry and academics. He is equipped with some of the best academic degrees, rich experience of working in senior management and leadership positions at prominent MNCs along with substantial experiences in teaching, research and entrepreneurship. With this unique blend of experiences and a very progressive vision for future, he brings in a lot of value. He is an expert in the areas of Operating Systems, Middleware and Interoperability. His contribution to open source software and Linux has been well acknowledged. His current research interests include Cloud services, Big data analytics and Sustainable ecosystem. He has led many successful system software product engineering and consulting projects while working for iconic technology companies like Digital, Hewlett-Packard, Sun and Novell. He began his career with National Informatics Center (NIC) and headed their System Software Division for many years. He has all his effective education from Indian Institute of Technology, Kanpur leading to a Doctorate in the area of Computer Systems Modeling. He also attended a mid-career Executive Education Programme at Indian Institute of Management, Bangalore. 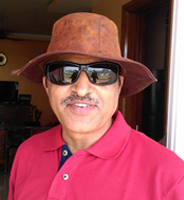 With over 38 years of teaching and research experience out of which more than 29 years was with AIT, Bangkok and about 9 years in the Department of Geography of the Utkal University, Bhubaneswar, India. He was associated with many UN organisations as consultant and in different project activities and served them with great appreciation. Eminent geographer-regional planner Dr. Routray, who has retired from the Asian Institute of Technology (AIT), Bangkok, as Professor of Regional and Rural Development Planning, and Disaster Preparedness, Mitigation and Management in the Department of Development and Sustainability School of Environment, Resources and Development (SERD), AIT has been given the rare honour to become Professor Emeritus till the rest of his life. Prof Routray’s subject areas revolve around spatial inequality and rural poverty, decentralized and sustainable rural-regional development, regional planning methods and techniques, rural-urban relations, development impact assessment, disaster risk assessment, reduction and management, and resilience and adaptive capacity to climate related hazards. He was adjunct Professor of Regional and Rural Development Planning & Disaster Preparedness, Mitigation and Management, Department of Development and Sustainability, former Coordinator of Interdisciplinary Academic Programs - Disaster Preparedness Mitigation and Management (DPMM) & Climate Change and Sustainable Development (CCSD) and former Academic Senate Chair. 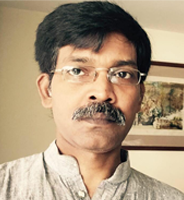 He is alumnus Indian Institute of Technology, Kharagpur and Ph.D. from Utkal University. He also holds a Post-Graduate Certificate in Town and Regional Planning from Technical University of SZCZECIN, Poland (UNESCO Center for Developing Countries). Dr. Sen has over 40 years of experience in research and education. Dr. Sen is founding faculty member of Computer Science & Engineering, Indian Institute of Technology, Kharagpur and visiting faculty member at Computer Science department at Calcutta University, NIT'S , various US universities including Rutgers, Western Washington, Hampton and others. 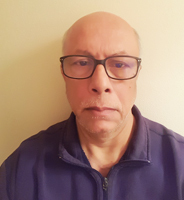 Worked at industry such as Computronics India, IBM, Microsoft and as consultant to Regional Computer Center, Morgan Stanley, Booz Allen Hamilton, Sandlot Solutions and others for many years as software engineer, architect in cluster computing, high performance services, big-data and analytics. His research area includes optimization of large scale parallel computations in Big Data and high speed computing. 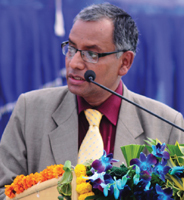 Dr. Sen has contributed to the profession for four decades as a teacher, researcher and industry worker. 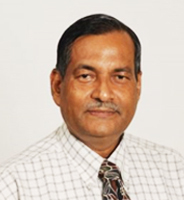 He is a senior member of IEEE and has many research publications and patents.